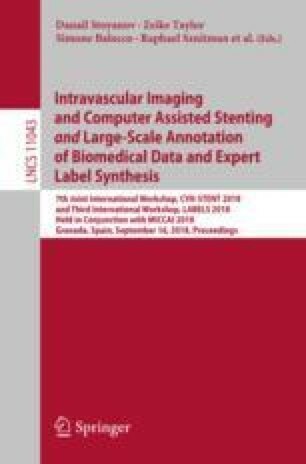 Annotated datasets for evaluation and validation of medical image processing methods can be difficult and expensive to obtain. Alternatively, simulated datasets can be used, but adding realistic noise properties is especially challenging. This paper proposes using neural styling, a deep learning based algorithm, which can automatically learn noise patterns from real medical images and reproduce these patterns in the simulated datasets. In this work, the imaging modality to be simulated is four-dimensional arterial spin labeling magnetic resonance angiography (4D ASL MRA), a modality that includes information of the cerebrovascular geometry and blood flow. The cerebrovascular geometry used to create the simulated phantoms is obtained from segmentations of 3D time-of-flight (TOF) MRA images of healthy volunteers. Dynamic blood flow is simulated according to a mathematical model designed specifically to describe the signal generated by 4D ASL MRA series. Finally, noise is added by using neural styling to learn the noise patterns present in real 4D ASL MRA datasets. Qualitative evaluation of two simulated 4D ASL MRA datasets revealed high similarity of the blood flow dynamics and noise properties as compared to the corresponding real 4D ASL MRA datasets. These simulated phantoms, with realistic noise properties, can be useful for the development, optimization, and evaluation of image processing methods focused on segmentation and blood flow parameters estimation in 4D ASL MRA series. This work was supported by Natural Sciences and Engineering Research Council of Canada. Dr. Alexandre X. Falcão thanks CNPq 302970/2014-2 and FAPESP 2014/12236-1.